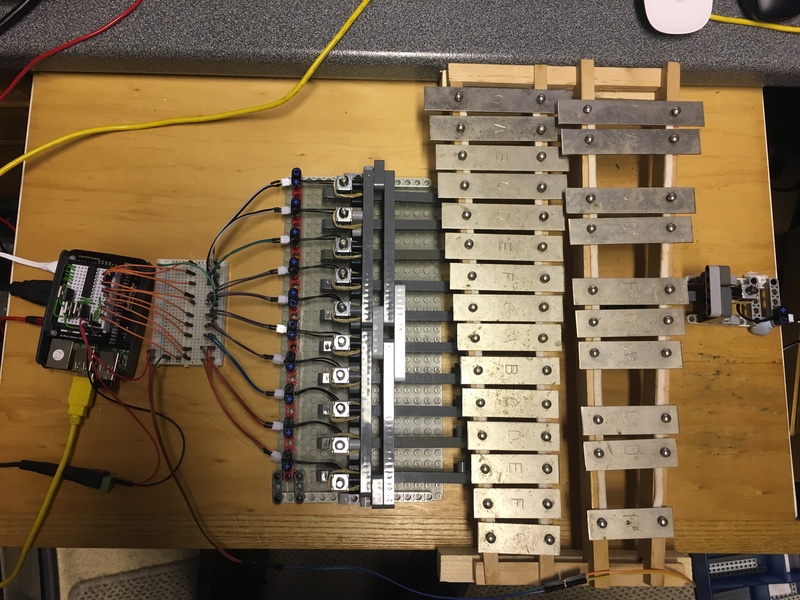 I have created a Sonic Pi controlled Glockenspiel which runs on a Raspberry Pi3. It is controlled by means of a series of solenoids with Lego hammers, and interfaces to the Raspberry Pi GPIO pins. Full constructional details, plus software are contained in an article which can be found here.